MANILA, Philippines - The suspect in the killing of cyclist Mark Vincent Geralde on Monday, July 25 along P. Casal St. at Quiapo, Manila has been identified by the Manila Police District as Vhon Tanto. In a CCTV footage of the incident that immediately went viral, an unidentified driver and Geralde were seen arguing after the former’s red Hyundai Eon apparently hit the former’s bicycle. The unidentified driver was later seen alighting his vehicle and engaging in a fistfight with Geralde. Following the fistfight, the unidentified driver returned to his vehicle and appeared to continuing talking with Geralde for a few minutes. Moments later, the unidentified driver went out of his vehicle with a gun and shot Geralde four times. Civilian Rosell Bondoc was injured by a stray bullet from the unidentified driver’s gun. Initial police reports described the vehicle in the incident as a red Hyundai Eon with conduction sticker MO-3746.Nestor Punzalan, the owner of the said car, appeared before the National Bureau of Investigations (NBI) to clear his name and deny his involvement in the incident. Authorities later clarified that the vehicle’s conduction sticker is MO-3745. 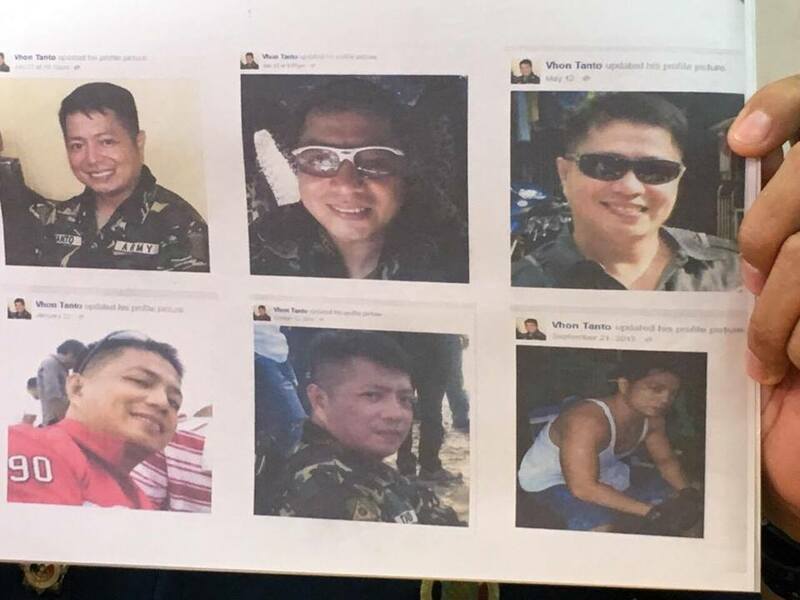 Tanto, a 39-year-old Philippine army reservist, was positively identified by a witness as the suspect in the said incident. Based on police investigation, Tanto, who hails from Cotabato, has been a resident of the area where the incident took place for quite some time. Barangay officials recognize Tanto and his red Hyundai Eon since he has not been following street clearing operations against illegally parked vehicles. Now considered as armed and dangerous, authorities are urging Tanto to surrender and clarify his involvement in the incident. Authorities are currently working to have his gun license revoked.